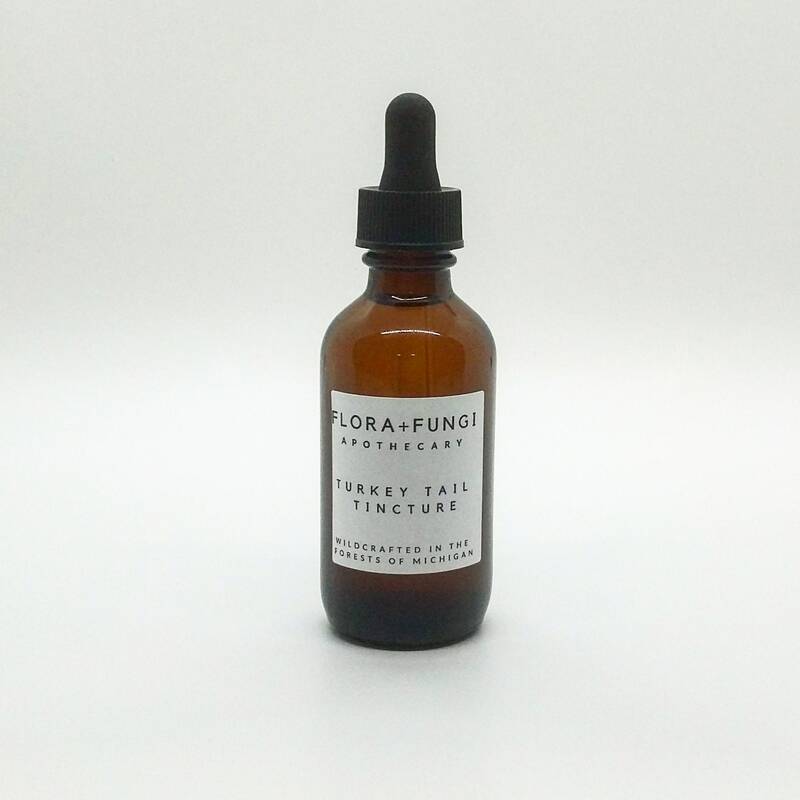 One of the most versatile and beautiful fungi in the forest, Turkey Tail ( Trametes versicolor) is a powerful adaptogen and immune booster. 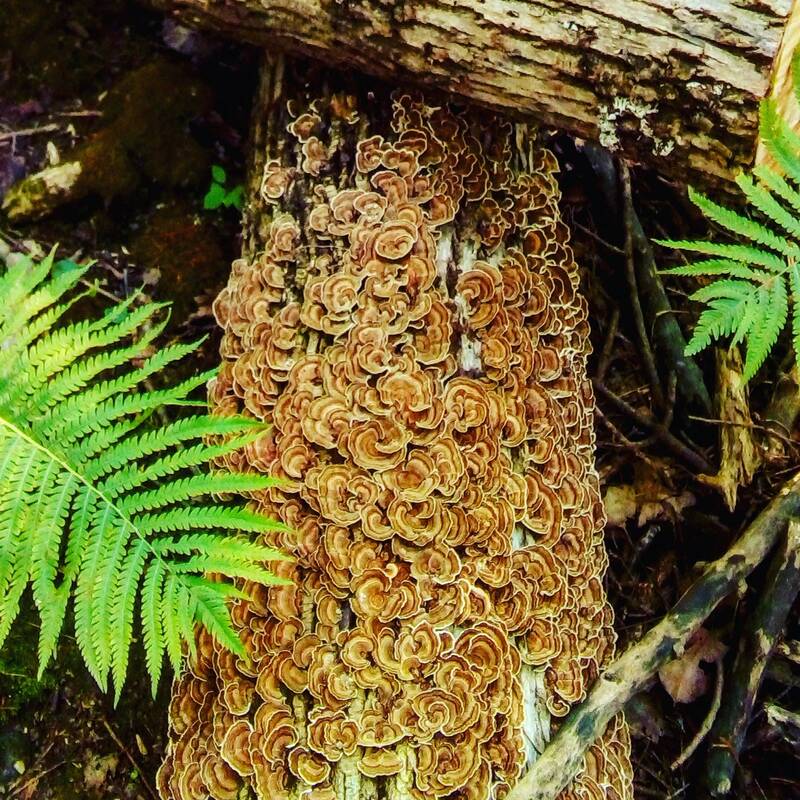 Turkey Tail has been used for thousands of years in Chinese medicine and is one of the most well studied mushrooms on the planet. 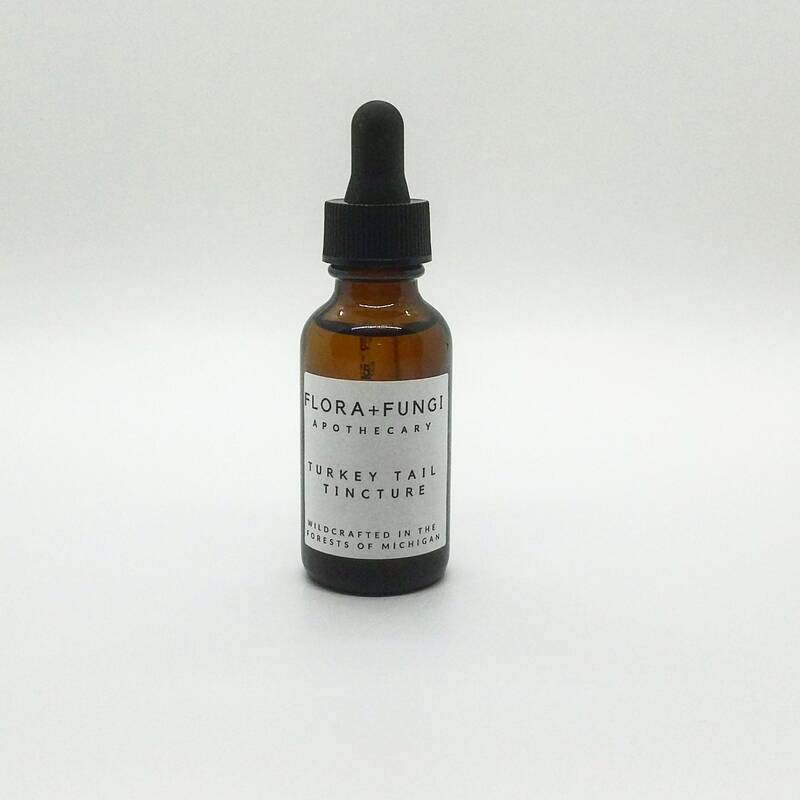 Turkey Tail contains polysaccharides and beta-glucans which boost the immune system, reduce immune system stress and boost energy. They also contain a variety of proteins, minerals, enzymes and vitamins such as Vitamin D and B complex vitamins. 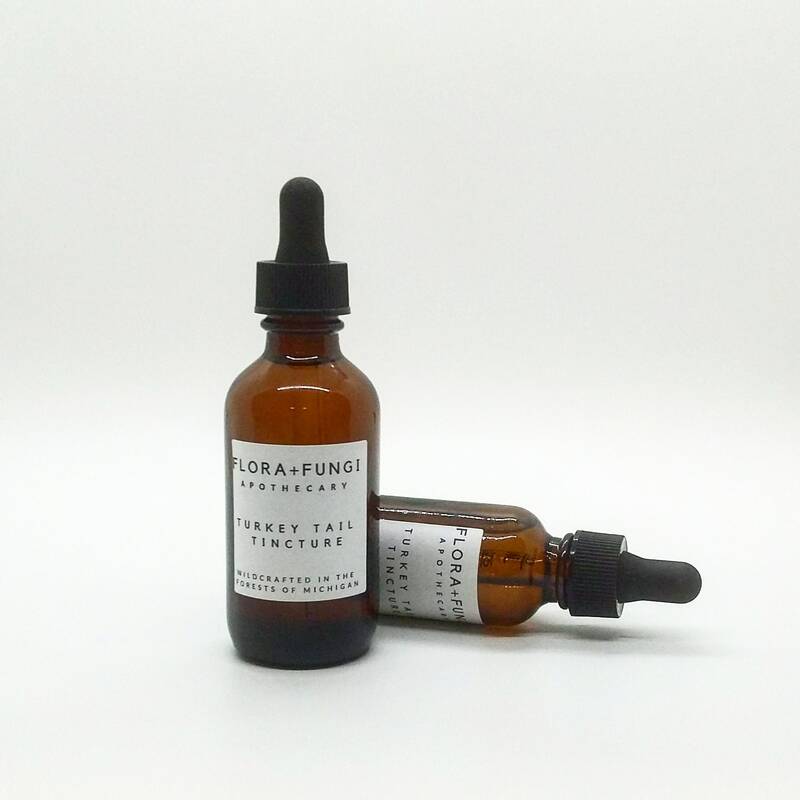 Turkey Tail can help shorten the duration of a cold or flu, helps build probiotics in our bodies, helps lower blood pressure, blood sugar and has demonstrated the ability in laboratory tests to slow or inhibit the growth of cancer cells. Turkey Tail also is effective at reducing inflammation, thus an excellent supplement for arthritis and other chronic inflammatory conditions. 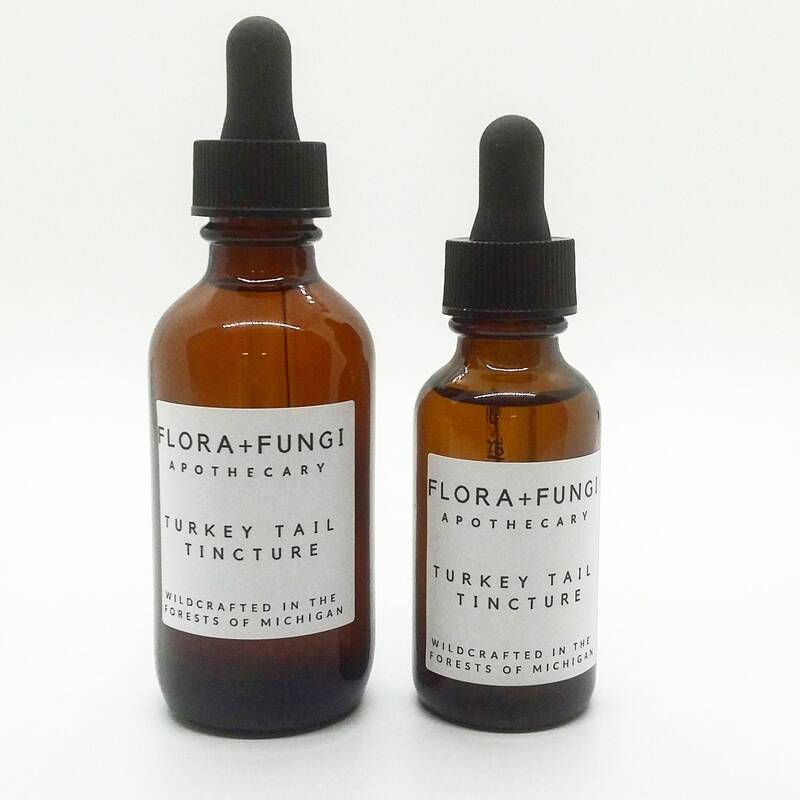 We wild-harvest turkey tail from the forests of Northeast Michigan to make a variety of herbal medicines ranging from this tincture, to teas, syrups, powdered extracts and healing skin care products. 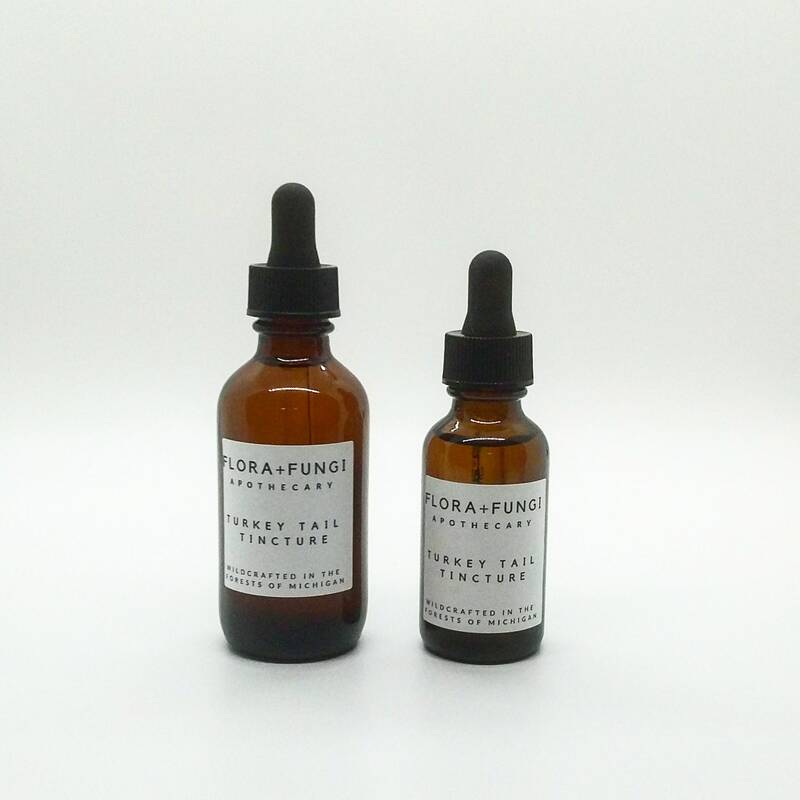 We hope to soon include a wider array of Turkey Tail products in our shop.